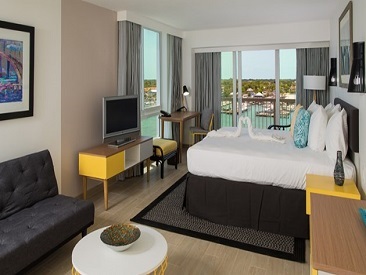 Warwick Paradise Island is a brand new all-inclusive, adults-only (16+) resort located on the shoreline of Nassau Harbor in Paradise Island, Bahamas. This modern, relaxed resort offers spacious guest rooms, a variety of restaurants and bars, daily entertainment and endless activities. Guests can enjoy an expansive 10,000 sq. ft. terrace overlooking the harbor marinas complemented by an outdoor steak and seafood restaurant. 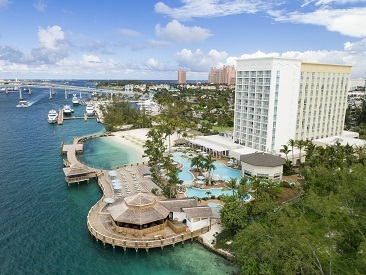 Warwick Paradise Island is just a 10 minute walk away to the popular Cabbage Beach with dining, a casino and shopping nearby. 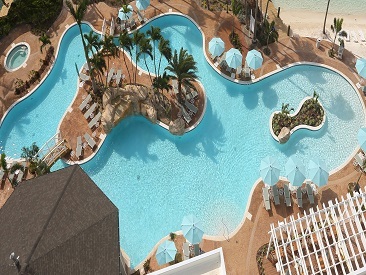 The is the first all-inclusive, adults-only (16+) property to open in the Bahamas, making it the perfect destination for couples and friends to get away and relax. Guests can enjoy an expansive 10,000 sq. ft. Sunset Terrace and boardwalk overlooking the harbor marinas complemented by an outdoor steak and seafood restaurant. The Amber Spa is a new world of holistic healing. Amber itself holds powerful healing properties and gives a sense of health and healing to whoever wears it, helping to balance emotions, clear the mind and release tension. At the Amber Spa, health, wellness and beauty are linked from beginning to end and the therapeutic massage techniques, natural products and spa team ensure that your journey is enhanced by a complete restoration of Soul, Body and Spirit.